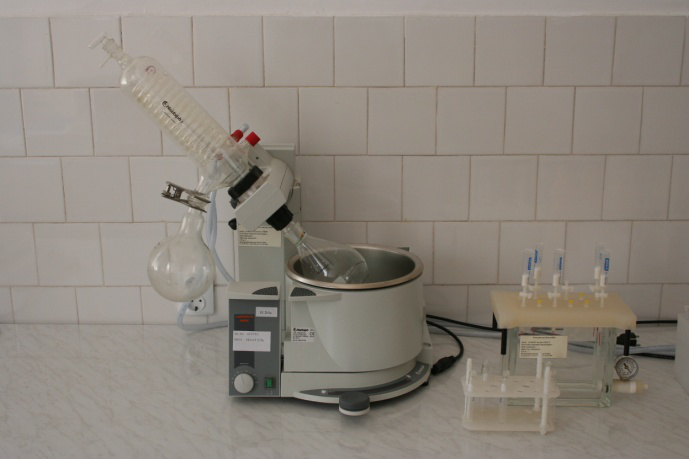 In the samples preparation step for determining the heavy metals concentrations, acid mineralization is achieved using a microwave Anton Paar, Multiwave 3000. 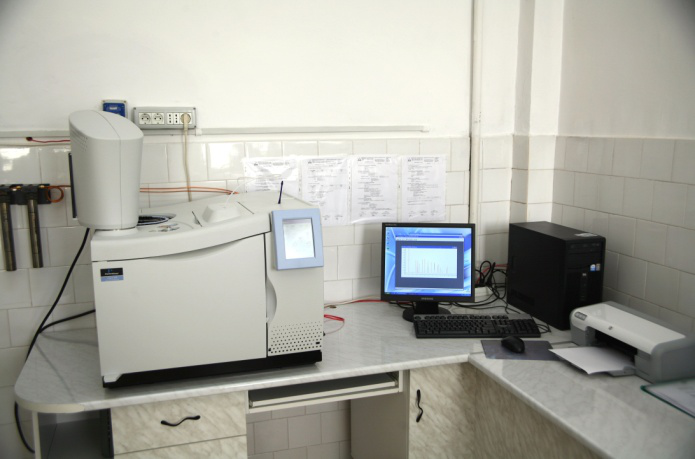 Concentrations of heavy metals in the analyzed samples are determined using ICP-MS Elan DRC-e, with applicability in low concentration estimation of a large number of items. Chemical elements from liquid samples are nebulized and the resulting aerosol is transported by argon in a plasma torch. The ions produced in the plasma are nebulised and placed, through a specific interface, in a mass spectrometer according to EN ISO 17294-2, 2005, standard. 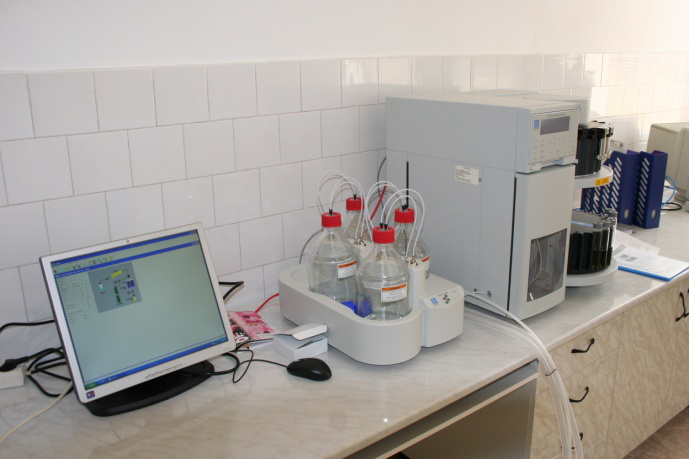 In order to extract organic micro-pollutants from surface/ground water and wastewater samples, automatic solid phase extraction is performed (Solid Phase Extractor), ensuring minimal solvents use, extraction time and also enabling the processing of 12 samples, simultaneously. 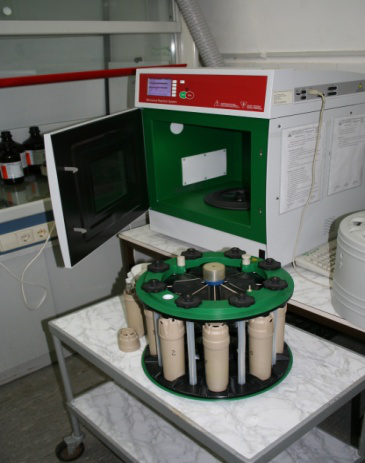 For solid samples such as flora, fauna, soil/sediment an automatic Accelerated Solvent Extractor is used (AES 300 DIONEX) which, at high pressure and temperature, performs extraction with four solvents for 24 samples simultaneously, reducing the required extraction time. 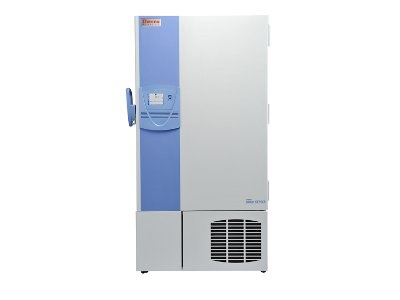 Organic micro-pollutants analysis is performed by gas chromatography with electron capture detector (Perkin Elmer Clarus 600), whose configuration allows the determination of organochlorine pesticides and polychlorinated biphenyl compounds. Highly sensitive submersible spectrophotometer for “in situ” measurements of chlorophyll ”a” content in water used for quantitative determination of algae classes. Different algae groups synthesize different plant pigments interacting with chlorophyll ”a”. These interactions results in special excitation spectrum for different taxonomical algae classes. 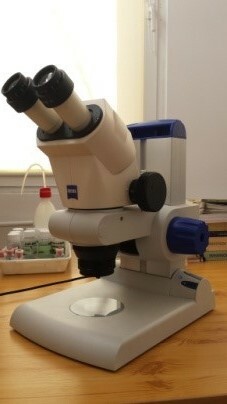 2 Zeiss microscopes and 1 stereomicroscope for qualitative and quantitative evaluation of species – for examination of minute structures with importance in identification of specimens. 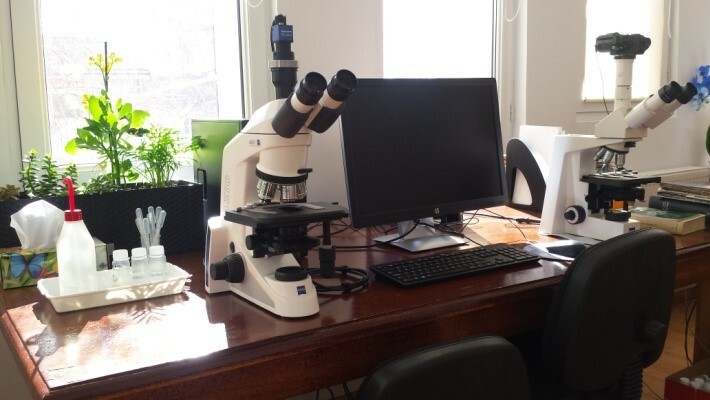 One of the microscopes is equipped with digital photo camera and microscopic image processing program used for morphological measurements and digital archival of analyzed samples. In correspondence with the vast variety of approaches to research subjects and current protocols, the Genetics and Molecular Ecology Laboratory has the appropriate infrastructure in place, in accordance with EU standards. 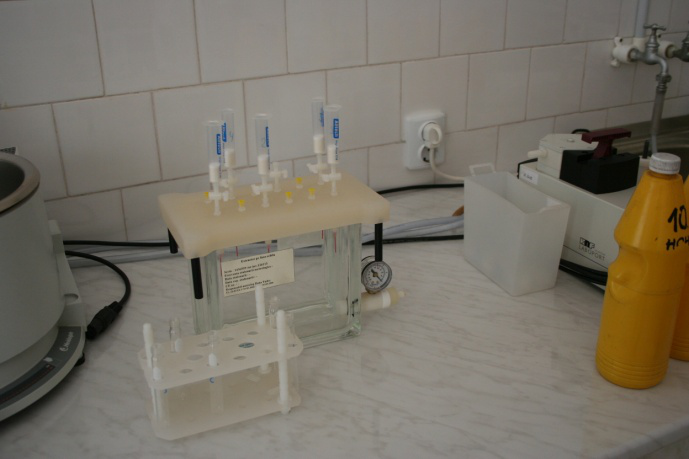 The laboratory equipment permits the following: long-term storage of DNA samples, isolation and purification of nucleic acids, PCR amplification of various molecular markers and bioinformatics analysis using up-to-date software. Ultra Low Freezer (- 80°C) – Long-term conservation of genetic material in optimum conditions (-60 ° C to -80 ° C) provides scientific and material support to approach current scientific issues and also allows the expansion of research in biology, ecology, molecular biology, bioinformatics and biodiversity conservation. 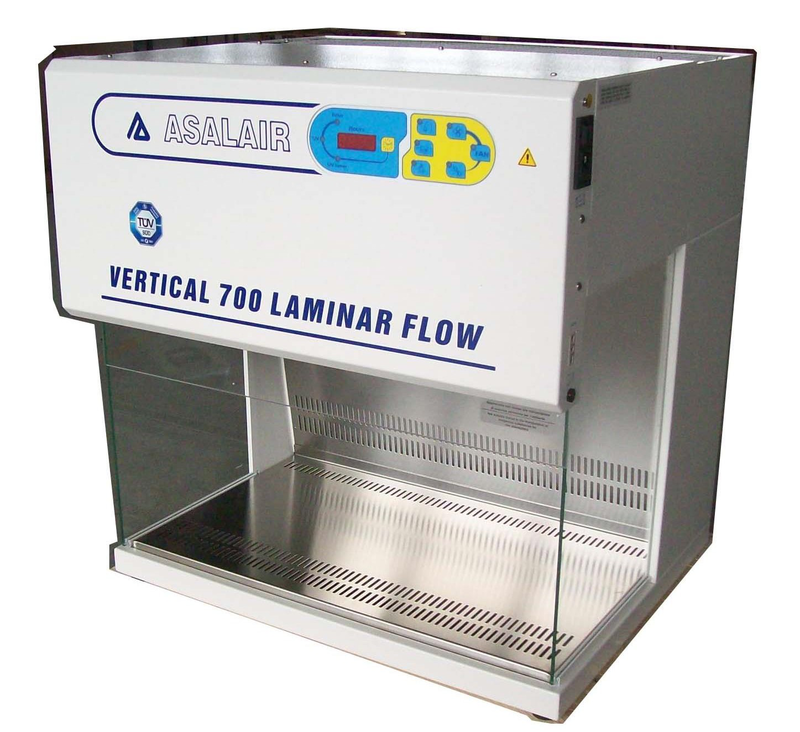 Laminar flow biological safety cabinet – The biological safety cabinet with laminar airflow allows deployment stages such as DNA isolation, lyophilized primers elution and achieving PCR reaction mixing under optimal conditions, avoiding the risk of sample and reagent stock contamination with exogenous DNA. Using a biological laminar flow cabinet eliminates the suspicion of a false positive result caused by potential sample contamination and provides an extra degree of accuracy of the conducted analyses (in accordance global standards). It also allows UV sterilization of the work chamber after each use. DNA isolation – The isolation and purification of nucleic acids involves a suite of various instruments: refrigerated centrifuge, thermoblock, and NanoDrop-like spectrophotometer. 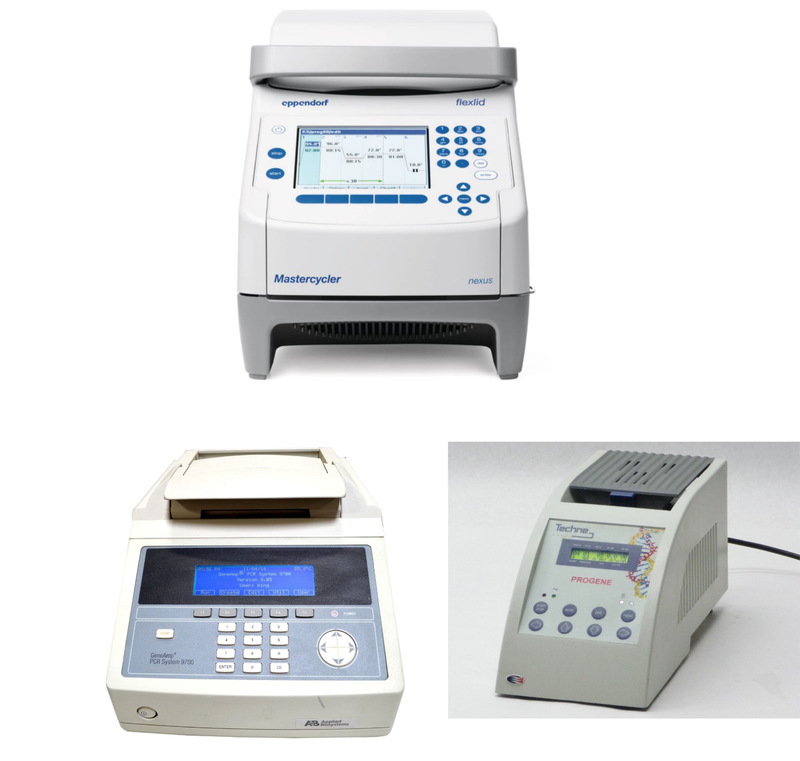 All of these devices allow the extraction of nucleic acids in optimal quantities and with a high degree of purity. 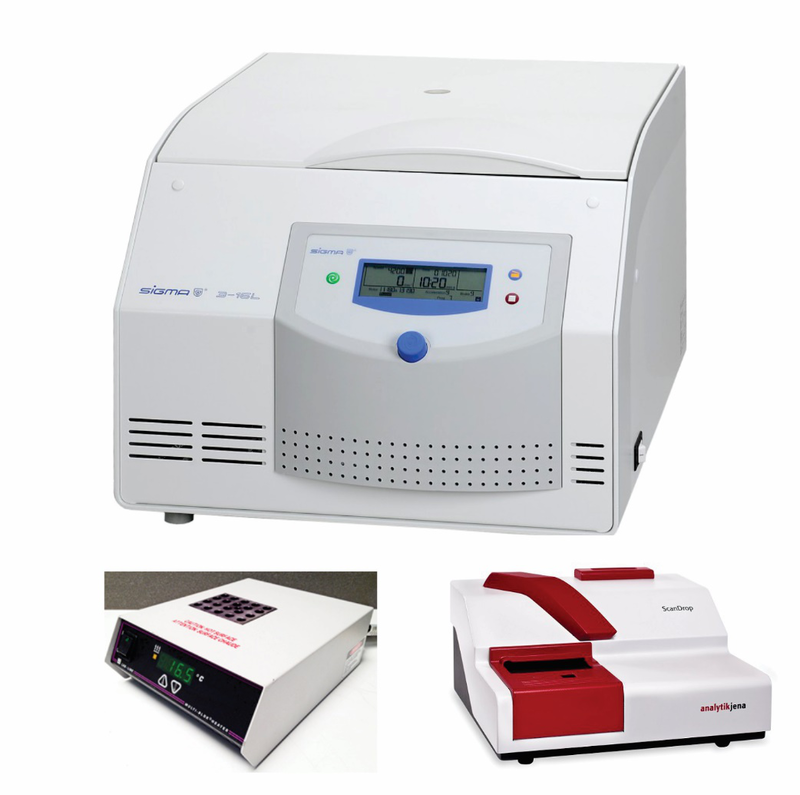 PCR thermal-cyclers – These devices allow gene amplification of molecular markers with high reproducibility. PCR with a temperature gradient allow selection of optimal PCR conditions for up to 96 samples simultaneously, varying the temperature of hybridization between 30 and 99°C. Thus, it greatly shortens the time allocated to PCR streamlining due to the fact that a single application of this device on a primer pair can equal at least 8 different classical PCR amplification rounds. 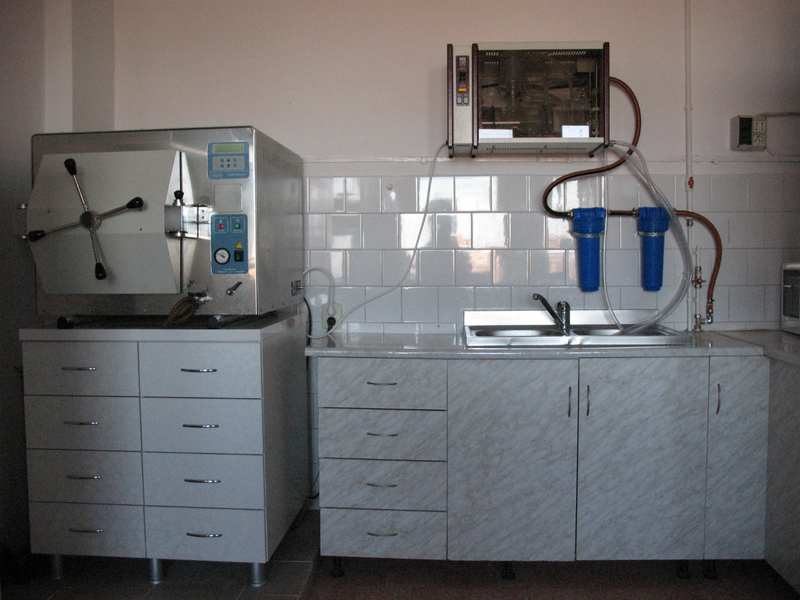 Auxiliary equipment – To ensure the proper functioning of the laboratory and support the steps leading to actual genetic tests, the auxiliary equipment of the laboratory includes: Bi-distilled Water System (provides the distilled water necessary to prepare various solutions), Horizontal Autoclave (consumables sterilization stage) and Microwave (agarose gel preparation stage). Horizontal electrophoresis Systems – Horizontal electrophoresis systems enable migration of PCR products in agarose gel, which is a necessary step for estimating the length of the amplified fragments and to check their quality (the presence or absence of non-specific amplifications and the degree of integrity) of the obtained amplicons. 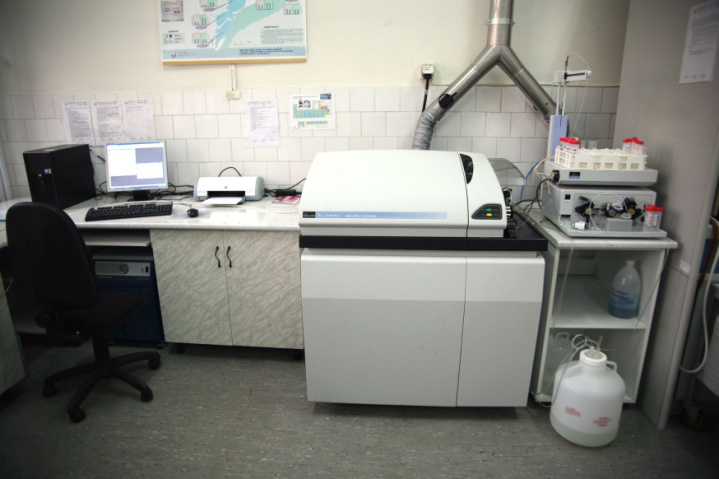 The Genetics and Molecular Ecology Laboratory is equipped with three horizontal electrophoresis systems that allow simultaneous migration of a large number of samples (>50).